Form fill seal machinery, FFS machinery, for flat products, automatic loading of products. Food products like peanut butter. 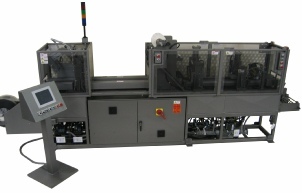 Machine will form two webs into package, load product and seal. Vertical and Horizontal orientations for FFS. Available several styles of form fill seal machinery, FFS machinery, and pouch manufacturing equipment. 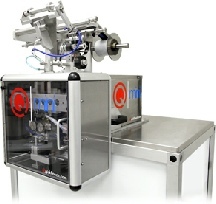 High Speed Form Fill Seal can be used to package small packages at rate of approximately 200 pouches a minute. 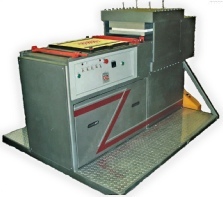 Low cost vertical form fill seal - economic for smaller operations. 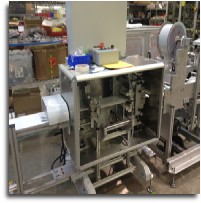 The larger form fill seal machinery can be vertical or horizontal form fill seal machinery, FFS machinery, that can be used to package diagnostic test kits and other IVD products. 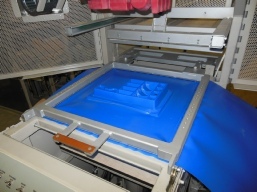 Also sterilization pouch manufacturing.